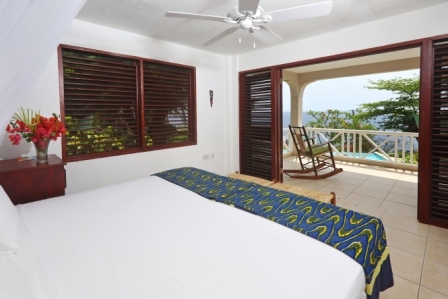 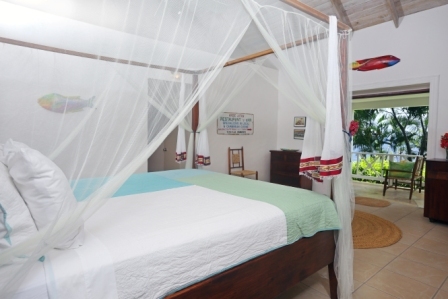 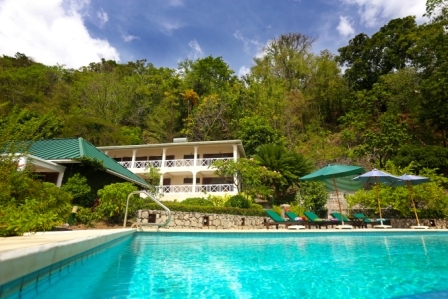 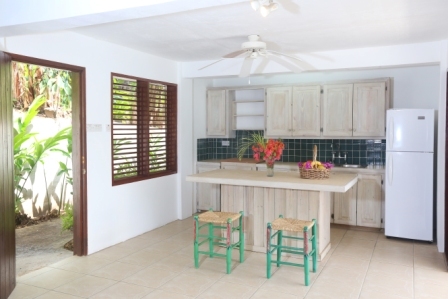 Colibri Cottage is situated on Malgretoute Bay, a quiet haven for sailboats and yachts cruising the Caribbean. 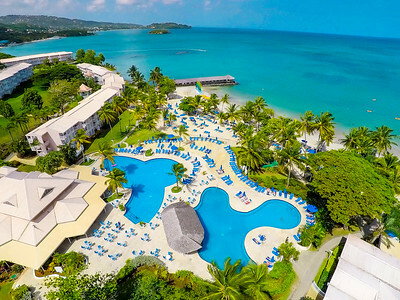 Imagine enjoying a sunset glass of wine on a pool deck overlooking the shimmering blue Caribbean Sea. 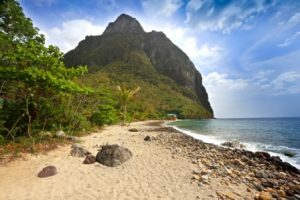 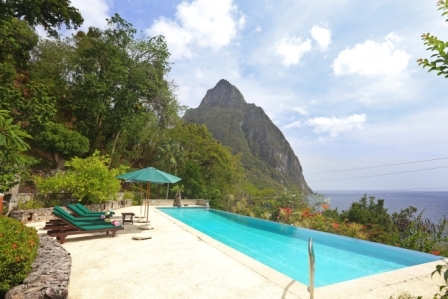 Enjoy the mast of large sailboats that have docked nearby to share your view of the Petit Piton and to enjoy St. Lucia’s prized World Heritage site. 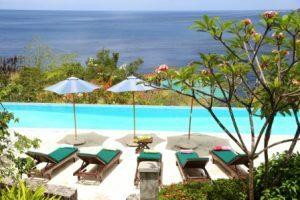 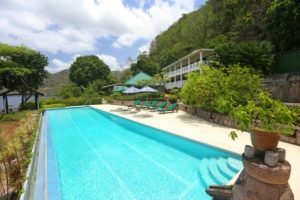 Colibri (hummingbird in the native language)Cottage has it all-what is believed to be the largest villa pool on the island -perfect for swimming laps or just floating around; lovely flower gardens humming with birds and butterflies; porches and decks for reading or napping. Yet a short drive away there is much to see and do – botanical gardens, a rain forest, hiking, resorts with excellent resturants-even a live volcano. The beach is steps away. 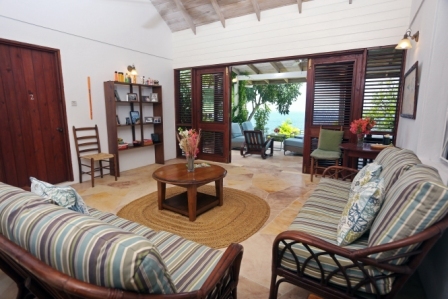 Colibri is spacious, cozy and comfortable. 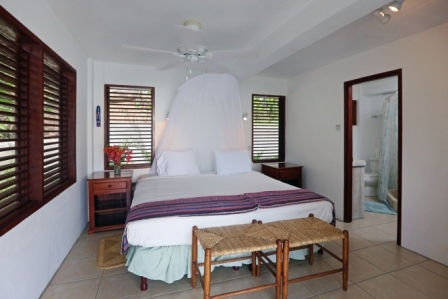 Colibri Cottage is made up of two adjacent villas. 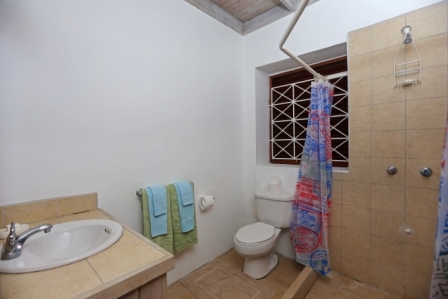 The main villa, with lovely colonial architecture, has two bedrooms with ensuite baths, king sized four poster beds and attractive common areas. The detached two story villa is divided into two apartments each with two bedrooms including beds that flexibly convert from king size to twins, two bathrooms, living room/kitchette and long graceful verandas with cooling ceiling fans and spectacular views. 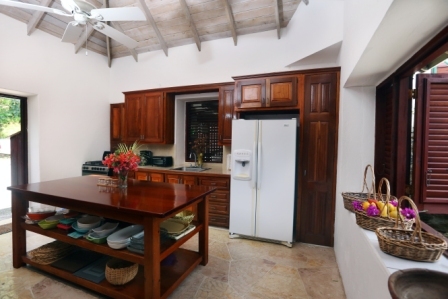 Colibri Cottage is the perfect location for a small, intimate wedding, a family reunion or a group of friends (no more than 12) getting together. 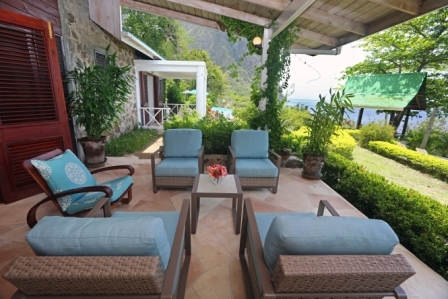 It is a quiet, peaceful place perfect for unwinding and relaxing. 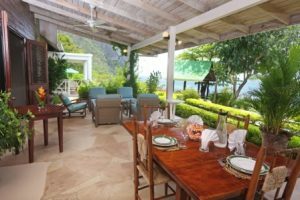 WIFI is available but in the main house only. A Smart TV is available in the living room but please note you will need to bring the appropraite connectors compatible with your electronic device. A previous owner even hosted Prince Phillip in the main house! 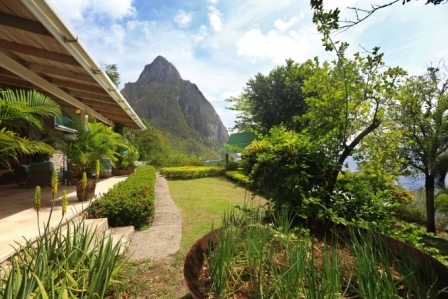 A housekeeper (Lavina) and resident grounds keeper (Randall) will do everything necessary to make your stay pleasant. Randall is the resident caretaker and takes care of the pool and the garden maintenance. Child Waiver required for parties with kids 12 years and under.